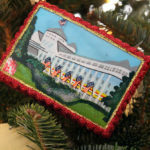 Earlier this week I shared our family tradition of giving our daughters an ornament each year that symbolizes something special from that year. 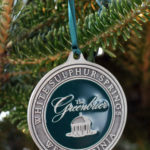 While these ornaments are an important part of our tree, we also have another ornament tradition. 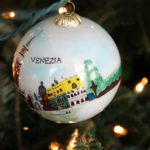 When we travel, we always “try” to bring back an ornament to remind us of our family vacation. 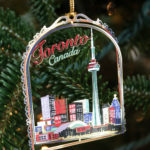 I say “try” because there have been times when we can’t find ornaments to represent the city we visited…or we have forgotten to look for an ornament. 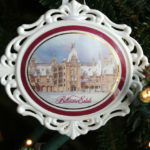 I can remember once or twice stopping at a gift shop on our way to the airport to look for an ornament! 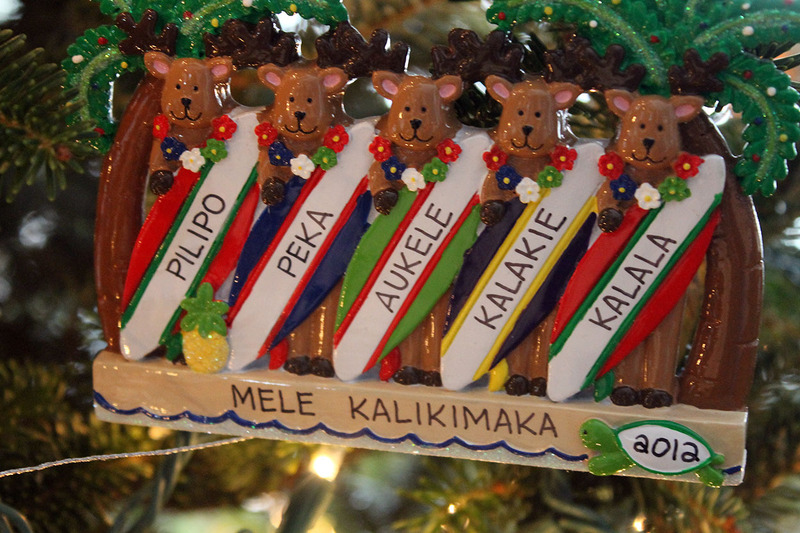 One of my favorites is our ornament from our Spring Break 2012 trip to Hawaii…they translated our names to their native language. 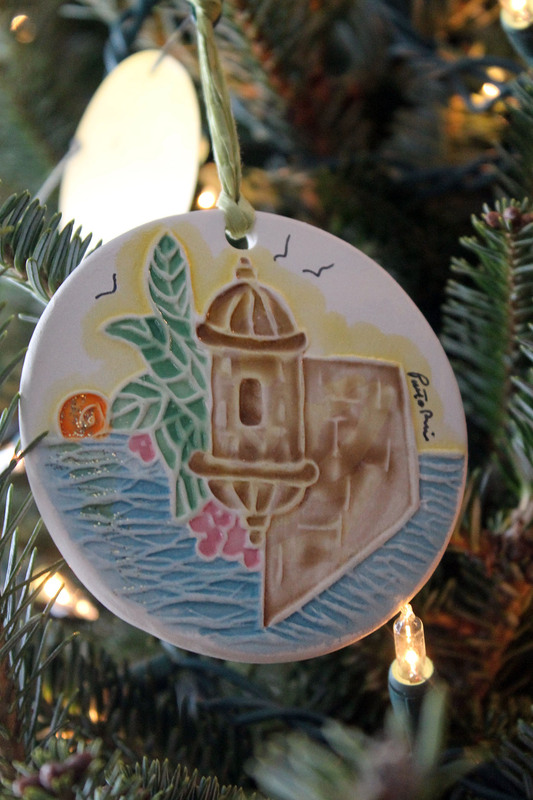 Our new additions to the tree this year from our family vacations…Puerto Rico and San Fransisco! 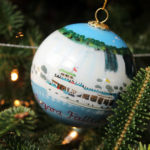 It is about so much more than the ornament, though…it is the memories created as a family while experiencing new things together. 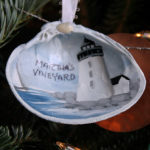 We are able to relive those memories each year as we decorate our tree. What a great tradition!! Wish I had thought go it years ago. 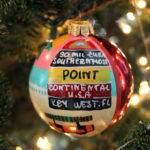 We didn’t start doing this until 10 years ago, so we don’t have ornaments from our earlier vacations…just the memories. Our tree traditions are the same. 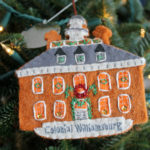 In your first ornament post I commented on how we give our kids an ornament each year. We also try to find one from places we’ve been to! 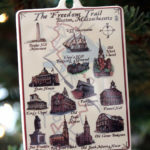 Boston will be a new one hanging on our tree this year. I think I’ve said it before…we are kindred spirits! 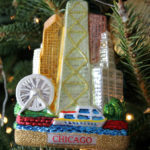 Would love to see your tree! 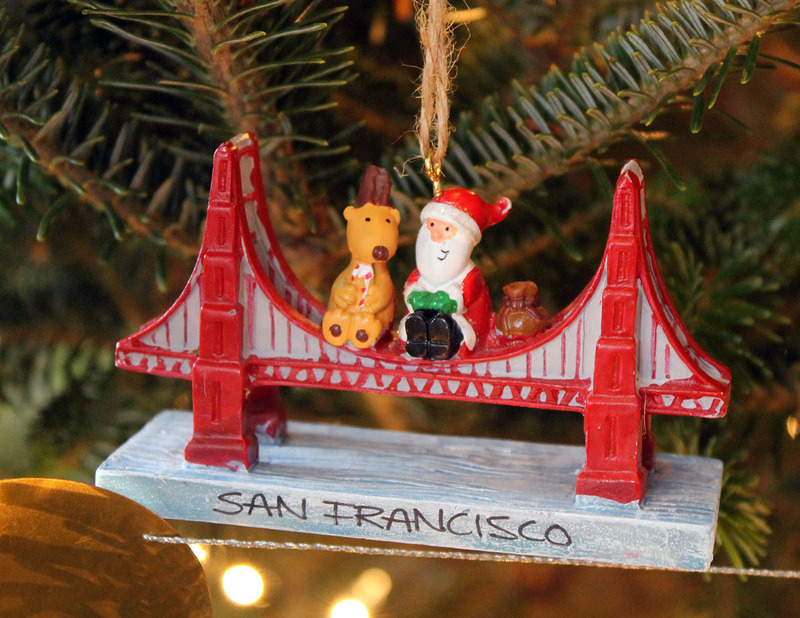 My favorite part of decorating the tree is unwrapping each ornament & remembering where we were when we got it or who gave it to me. Then there’s a special set from my childhood which just make me happy. 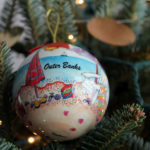 Ones from when the kids were born or their handmade ornaments. And of course – Nathan’s rubber skeleton. If the house was on fire, I’m running to get the ornaments.